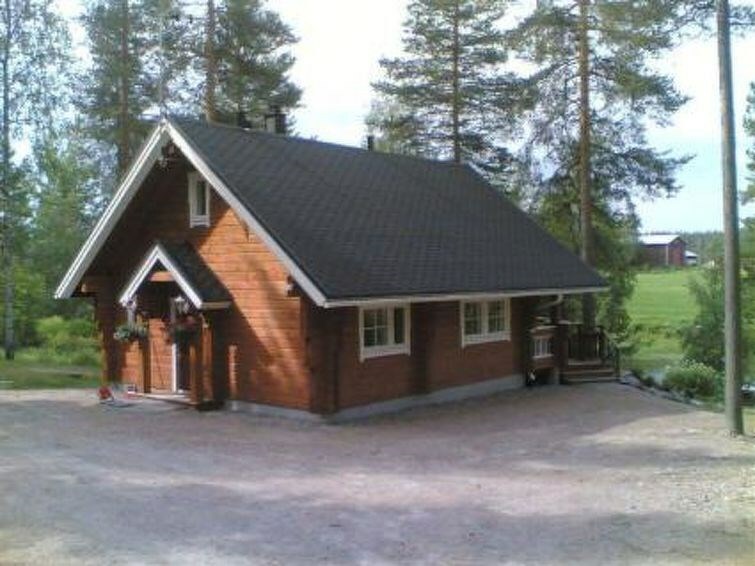 24 km north-east of Iisalmi, River Matkusjoki 30 m, hard, rather deep, rock-bottomed shore, own boat. Laminated log chalet 2009, living room/kitchen convertible sofa, bedroom 1 bed (width 160 cm), washroom, sauna (electric stove), terrace. Upstairs: bedroom 1 bed (width 120 cm) + 2 mattresses, lounge and balcony. Downstairs: underfloor heating. River bank sauna. 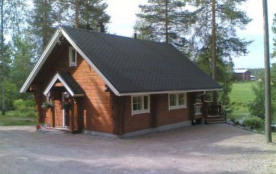 Chalet located on a slope on eastern bank of River Matkusjoki. Separate lakeshore sauna, roofed grill, permanent barbecue grill/fish smoking facility, gas grill, woodshed, outside toilet. Price includes 2 bicycles and one open-style canoe. Remember to mention when you reserve. Iisalmi 24 km, Sonkajärvi 6 km, Tahko ski resort 70 km, Runni Spa 37 km, Tiilikkajärvi national park 40 km, Vuokatti 90 km. Fishing and canoeing opportunities on River Matkusjoki. On Lake Sonkajärvi annual world championship Wife Carrying Competition.